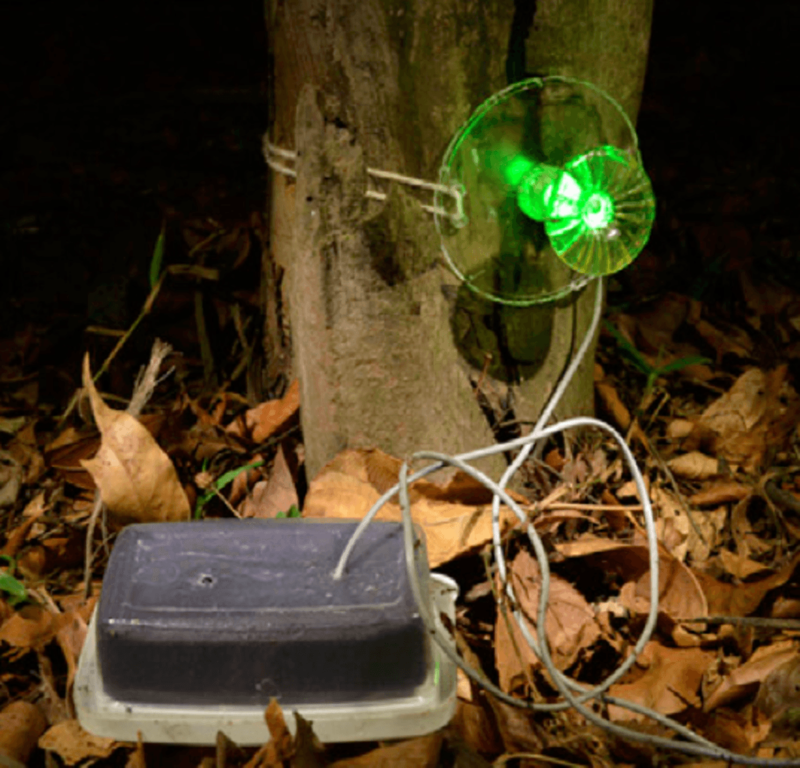 Glowing fungi with an on-off system synchronised to their daily rhythms? It sounds implausible but it's true. So if air movement isn't effective how can spores be dispersed far and wide? One option is through aroma. Truffles, the fruiting body of the Ascomycete fungi, use their smell to attract fungivores such as pigs or squirrels who eat them and leave spores behind in their waste. Stinkhorn mushrooms have a foul-smelling slime which attracts flies and other insects. The flies eat the slime and unwittingly spread the spores elsewhere. Light is also attractive to many insects. 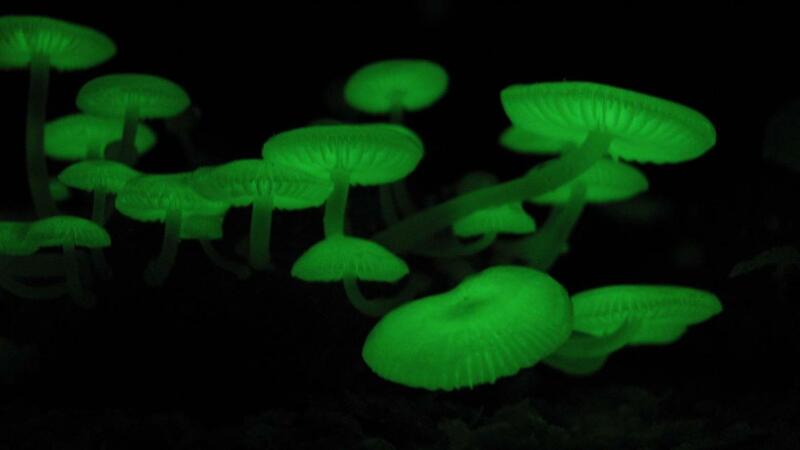 Indeed a number of fungi bioluminesce, emitting a pale green light. 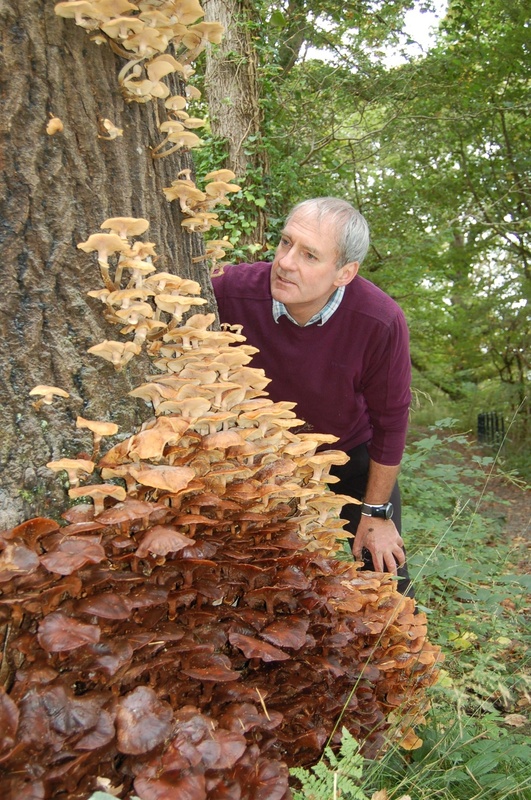 One of the first mycology texts I read as a teenager devoted a whole chapter to “luminosity", mentioning various fungi including some honey fungi (Armillaria), Jack O'lantern (Omphalotus olearius, pictured at the top of this article) and a number of Mycena. To specifically test the glowing effect, experimental “mushrooms" made from clear acrylic resin were built. They were equipped with a light emitting diode which operated at a similar wavelength to the mushrooms. To the beetles, the light would have looked the same.